Electronic cigarettes are already advertised as a cheaper alternative to smoking, but the new Ezi-cig is really pushing the envelope. Launched in Britain by Discount UK, the disposable e-cigarette costs just £1 ($1.53), making it the cheapest electronic cigarette in the world, by far. If you’re looking for the cheapest e-cigarette money can buy, look no further than the new Ezi-cig. 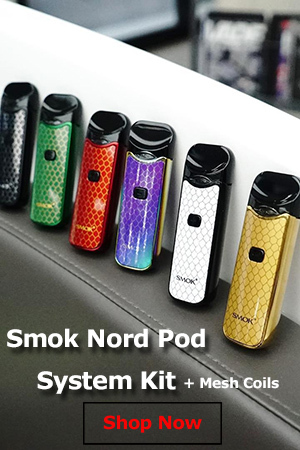 The disposable version is priced at £1, comes in high (12mg) or medium (8mg) nicotine doses and last up to 220 puffs, the equivalent of a pack of analogs. 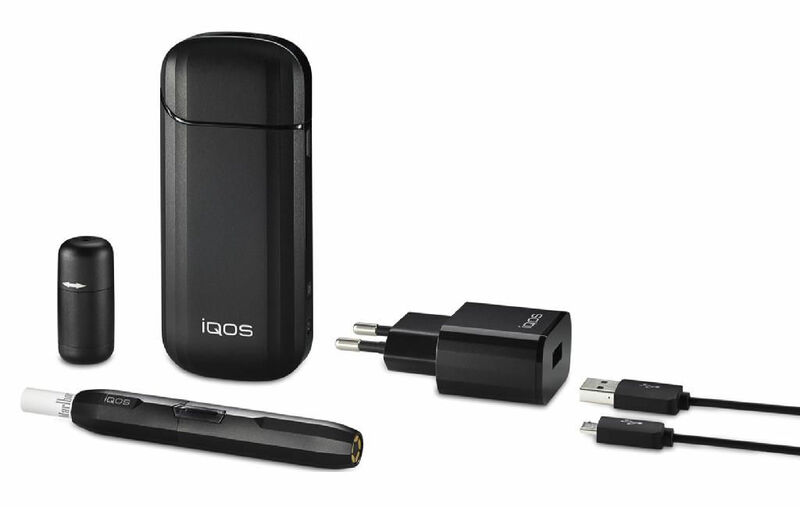 Luckily, there is also a rechargeable version of the Ezi-cig which retails for the mind-blowing price of £4.99 ($7.6). In comparison, most other economy starter kits in the UK sell for around £20 ($30). The Ezi-cig was launched in Britain last week, by Leeds-based company Discount UK, and it’s currently available in 70 stores nationwide. 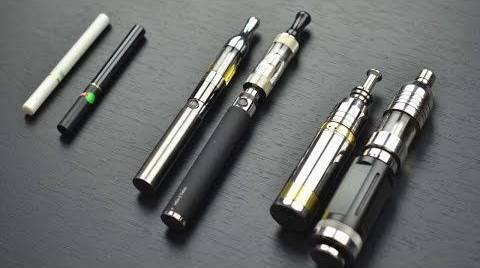 Ezi-cig stocks are limited, and consumer demand is expected to be huge, considering its unbeatable price, so for the time being each customer will only be able to buy 12 disposable e-cigarettes. “Quitting smoking can be a difficult and often expensive undertaking. 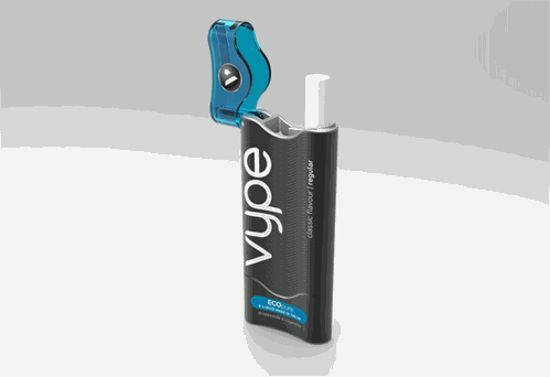 Hopefully, this product will make it easier for millions to make a change and move one step closer to kicking the habit for good,” Chris Edwards Junior, trading director at Discount UK Home Stores, said. 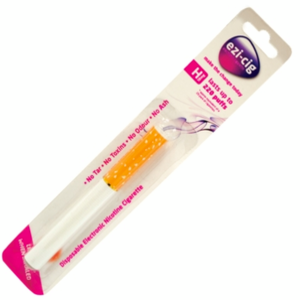 The Ezi-cig will also go on sale in over 40 Poundworld shops in September. Unfortunately, not much is known about the Eci-gig right now, and there deosn’t seem to be any reviews of the product so far, but even if this thing proves to be mediocre compared to the bigger and more expensive brands, it could be a game changer. A lot of smokers find e-cigarettes tempting, but are put off by the high initial cost of a starter kit. I was tempted to think this is one of those cheap no-name electronic cigarettes that give vaping a bad name but Chris Edwards Junior says it’s actually developed by Discount UK: “We’ve been working on this product for over two years, and after much research and development, we are so excited to bring it to the market for the incredible price of £1”. Sadly, the Ezi-cig is only available in the United Kingdom. no stars, i know it’s only a quid, i have myself an ego setup but i saw this at poundworld and i was surprised, it looked half decent, so i picked it up and tried it, first problem, VERY tough draw, getting little to no air flow, second AWFUL flavor just tasted like burnt plastic, third problem vapor production is barely anything sometimes you can hardly see it, the flavor actually made me feel nauseous, i don’t know what i was expecting for a pound, but this is going to make people go back to cigs, there’s many disposable ecigs with great bold flavor, good vapor production and allround just a satisfying vape for £4 then i am more than happy to pay 25 quid for a variable voltage ego battery and £10 for a vivi nova mini, the ezi cig is a step backwards in vaping, please improve it or don’t sell it at all. I echo Ben’s post. 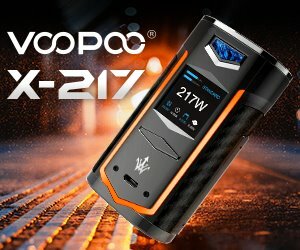 For £1 they are worth trying, especially if you are a first time vaper trying to quit analogues. I think though, that the user will soon find them-self wanting to upgrade to a more substantial device. There is no air intake hole on these ezi-cig devices, which make for a near impossible draw, which neither imitates the draw of a real cigarette or matches the ‘easy’ draw of other similar vaping devices. The experience is quite unpleasant. I also agree that the flavour is difficult to get along with – perhaps a menthol option would be well received. So overall – for £1, it’s a great ‘novelty’. But I think Ezi-Cig need to make the necessary performance improvements! Otherwise I can’t see these being a great success. I fear that if first-time vapers have such a bad experience, they are more likely to return to analogs then to throw more money into exploring “more substantial devices”. . .
Bought one, well why not £1 e-cig, there not a strong tobacco taste in fact quite mild, hate tobacco myself, so quite surprised, so next step was to peel off the label, and to my surprise it was drenched in liquid, even more so than a e-lite, and didn’t need to dismantle it completely to see it as it comes packed in a clear plastic tube rather than metal, i found that the 150mAh 75400 li-po battery is rechargeable, so buying these for the novelty then next step when made a few of these flat to strip out the batterys and recharge these for a mod, i recon 6 of these in parallel will make a interesting 900mAh rechargeable mod which in my books is dirt cheap for batterys for a few disposeable fags which are good for a night out, and if you lose it oh well its another £1. I`ll post up a link to my mod when i`ve made it, but got to flatten these batterys., may even make the attys into mods and make them as duel coils for giggles. They are not really very good.. There is no air flow, so each draw seems like a real effort. The flavour isn’t up to much. To be honest they are only worth a pound. They work out at less than half the cost of using Nicolite, which to me are extortionate. I hope Ezi-gig will make menthol flavour as that is what I smoke when not using e-cigs. I cannot say that ANY e-cig I have tried is equivalent to 20 cigarettes, that is just absurd! One word of advice – keep your prices low, extend the flavour range and make them widely available everywhere you possible can.. This way you will have a winner! Took forever to find your site. Purchased the Double Apple EZcig here in Klamath Falls, Oregon, USA.The thing gave me problems form the start. It first would not draw, then would after I got it to draw it was stuck on “ON” and would not turn “OFF”. It puffed all by itself and the devise became very hot.Vapor was poring out so I put it in it’s container. It eventually calmed down , the is a significant amount of brownish liquid at the bottom of the container. I have used your products in the past and never did Have such a hard time of it. Just taking a drag would cause a coughing fit because I have no control over how much vapor comes out of the device. Bought 2 – one of each. The 18mg version lasted a couple of hours, the stopped. The 12 mg, maybe half a dozen “puffs”, then failed completely. This product is rubbish. Good job it was only two pounds for the two. Never again – be warned. I would give it a zero rating, but that’s not possible. Bought a couple today from Poundworld. Easy draw taste is okay but it’s a shame they don’t have a menthol version. I’m trying to smoke less and these ezi-cigs might just help me do that. are they safe to hinhale ? I don’t know what I expected for such a low price but I thought it would be better than this. The draw is weak, There is no throat hit, the flavour is a cross between burnt plastic and burnt nuts. After several inhales the cartridge is so hot I feel it burning my lips. I only bought this because my usual e-cig ran out. I won’t even be using it as an emergency back up in future. I’d rather go cold turkey. I would rather pay more for a better e cig. Wow! What can I say, for such a cheap priced product this is really worth the time and money. A week has passed since I bought the rechargeable option and I havn’t touched a cigarette since there are two small air intakes just at the tip of the filter which allow for a smooth drag and the taste is ok, although a menthol option would be nice. Following people’s reviews about the air flow, make sure your Fingers are not covering the vents or you will struggle to have. Decent drag. With the e cig portability is amazing and very little room is required they could even but stored in a wallet for when you a’re on a night out, unlike pipes which let me say are ok but sometimes lack practicality. So basically ezi cigs are great and would be recommended by myself to help you kick the habbit. I hope this has helped somewhat and good luck, a healthy start is just around the corner. I bought one of the high nic (18mg) disposable ones to try it out. Never had an ecig before so don’t know how it compares to others but I found it quite good. A few puffs was all I needed to satisfy cravings so it should last. The taste is odd, almost like they’ve tried to mimic the odour of stale cigs! Had no probs with the draw, the one I got has little perforations in the tip, so maybe they are still developing the product. It’s not like smoking a cig, but that’s ok for me as long as I get the nicotine, which I did. I just bought 3 of the high strength ezi-cig at the local poundland, the first one I opened would not light up or work in any way so not happy at first… Second one works fine & I’m very impressed with it on all fronts, good job 🙂 Just need to sort the dud issue! Scratch that last post, now the second one is cutting out on me & I’ve opened the 3rd one to see if I’m just unlucky but its not looking good & the more expensive…..RELIABLE ones may get a go next. Where can I buy rechargable one ?? Been looking at these in poundland for a few weeks now. Finally bought 2 as thought why not give it a go. So how are they? Have no oroblem getting a draw from them, plenty of vapour and yes the taste is a bit iffy but no different to changing from your normal brand. Only bought today so can’t comment on how long they will last but if they help me cut down or stop altogether then money well spent. Remember people it is only £1!!!! I have quit smoking for 5days now with ecig. At first I thought the 12mg didn’t give a good draw so I bought the 18mg both menthol. It seems to be working the only thing is I have a bit of a sore throat after using them. Has anyone else noticed this? I think this product is brilliant for a pound! I wanted to quit for ages and then a friend can across these ezi-cigs so i went and bought two – a menthol and a normal one and was quite surprised, no harsh taste and it took away the urge. After smoking 16years i never thought id be able to quit and thanks to the ezi-cig i haven’t touched a proper cigarette in over a month which has saved me a lot of money already. I think its brilliant and would recommend it to anyone who’s looking to quit with a bit of help. Applause to the makers!! Bouth one and worked 10 puffs. I brought a few of them ezi-cigs and not one of them worked. Very let down by this. To me it was no good at all. Just another way for people to try scan money of you if you ask me.